Continuation of Luzon trip, this is final entry. From Angeles to Subic, Php 140 (USD3) by a bus. 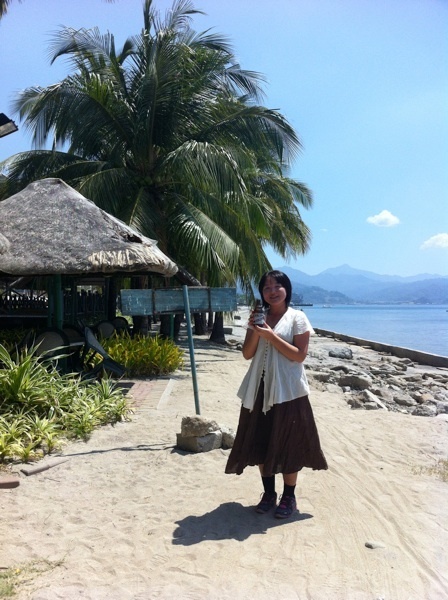 It was really good weather in Subic. I couldn’t swim in Subic during this trip. “The Cabin”, which I found on the internet just before going there, it seemed really new, very good cost performance 🙂 I was satisfied with it. ▼So many double‐deck bed are there (mixed dorm). There are many private rooms also. ▼Bath rooms were so clean! It might be the cleanest bathroom in my experience in Thailand’s and Philippines’ dormitory. Hot shower! ▼It is like a log‐house inside, so cute. ▼Outside is also like a log‐house. It was new and staffs were nice. If you are looking for a dorm in Subic, I can recommend this guesthouse 🙂 Private room’s rate is Php 750. 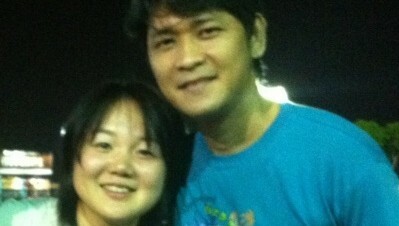 I met my previous coworker who lives in Subic for the first time in more than a year. We hanged out at a restaurant beside the sea. 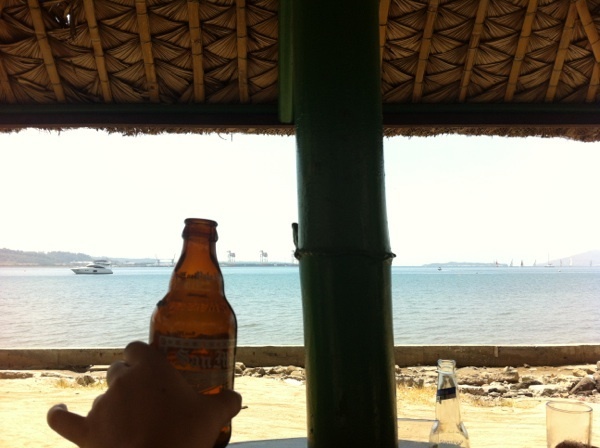 ▼It was really awesome to drink beer beside a sea in noon! I really like Pilsen’s shape. 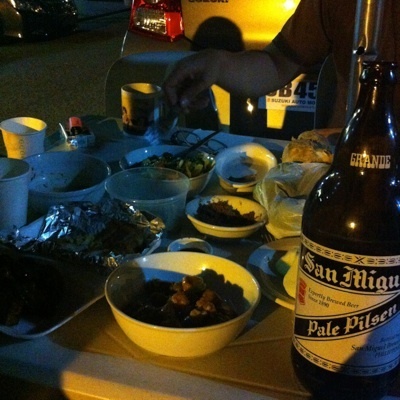 I think young people don’t know what is good taste when they prefer San Miguel Light to Pilsen because of bottle. 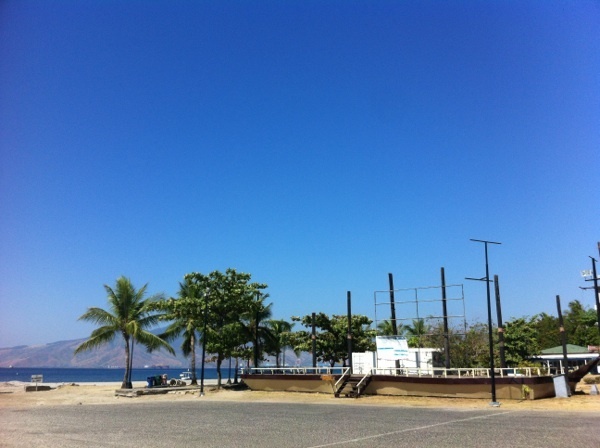 ▼It’s really terrible there are just two restaurants in Subic on Trip Adviser JP, furthermore, the number one restaurant is Chowking…, but I found some restaurants which seem to be nice beside the sea. Maybe… there are few traveler so there are few information? By bus, the fare was Php 217 (USD 4.8). ▼I could meet my dear drinking buddies on the street! I miss you guys!! 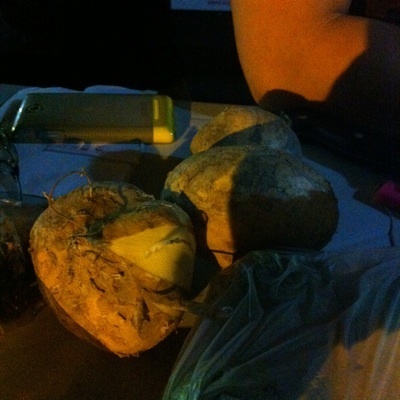 ▼It seems like potato but it is fruits! Like Japanese pears, good taste. It was not my original plan (my original plan was going to Laos), just followed my friend, however I could go to unknown place in Luzon, solve my big problem and meet Kapatid (=brother in Tagalog) and friends. It was really awesome to go there. Thank you my friend, Sayaka chan, for giving me that chance. I really appreciate it.